Let’s say you have all your musics stored only on your iPhone and now you want to transfer them to your iPad. Since iTunes only sync’s music from your iTunes’ library on your computer to your iOS device but not the other way around, how can you do that so you can enjoy the same sets of musics on both your iPhone and iPad? 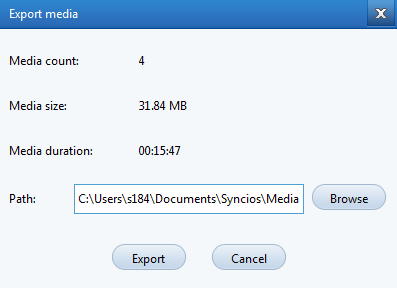 Here comes a free tool called SynciOS that could be useful and handy if you ran into a situation like above. It’s a perfect iOS backup and restore tool that sync’s not only media files like musics between your iOS devices and PC but also transfers and manages your eBooks, contacts, messages, notes as well. The installation of the tool goes fairly smoothly but be cautious of those recommended programs that pop out during the installation. Make sure to skip them when prompted. You computer needs both Apple Mobile Device and Bonjour Service installed in order to recognize the iOS devices. Since they are part of Apple’s iTunes program, they are already there if you have iTunes already installed on your computer. You can refer to this page if SynciOS doesn’t recognize your iOS devices. The tool offers a wide range of syncing features but let’s just stick with what we are trying to solve here, which is transferring music media files from iPhones to your Windows. When your iOS device is connected to your computer and is recognized by the tool, go to the Media folder on your device, and you will see the full list of music files showing up on the right side of the tool. 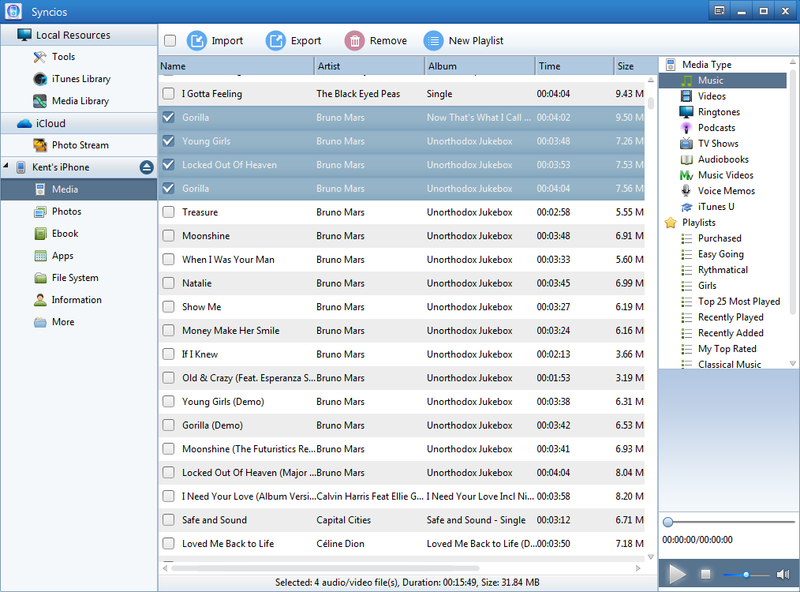 Highlight the songs you want to transfer, and click Export button at the top. And of course, you can transfer all of your songs by clicking the blank box next to Import button, or simply pressing Ctrl+A. Then, confirm the output folder, and click Export to start the transfer. What to do when iTunes doesn't recognize iPhone? You can also try this iPad music transfer program on your computer.